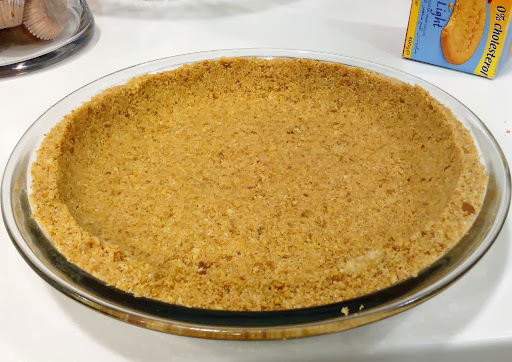 This has got to be one of the simplist, most decadent and refreshing pie recipe you will ever make. 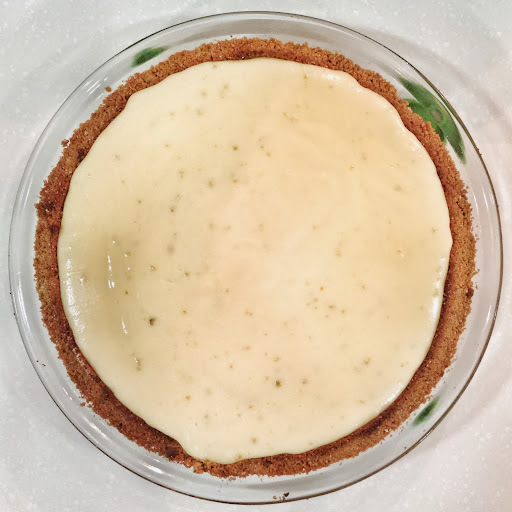 Being a true Texan, my husband was craving key lime pie a few weeks ago and a quick online search at my favorite www.foodnetwork.com came up with a recipe by renowned chef (and character) Emeril Lagasse. The ingredients were dead simple, but you know me - I had to improvise a bit. 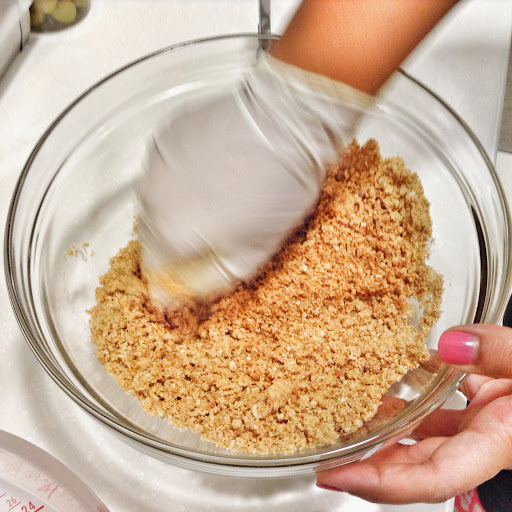 Smash the cookies to smithereens. Add sugar. 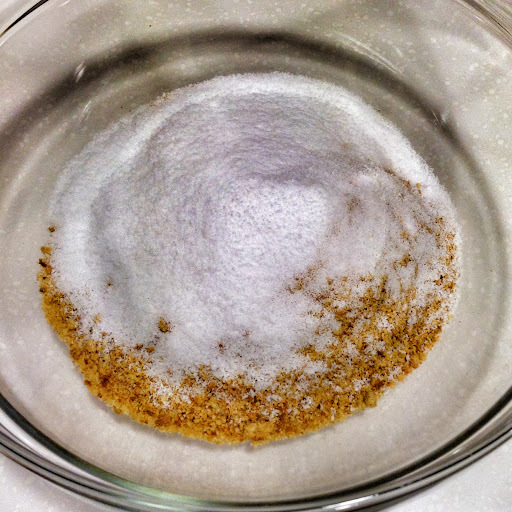 Mix in melted butter until it resembles almost-wet sand. Pat it into a pie dish. 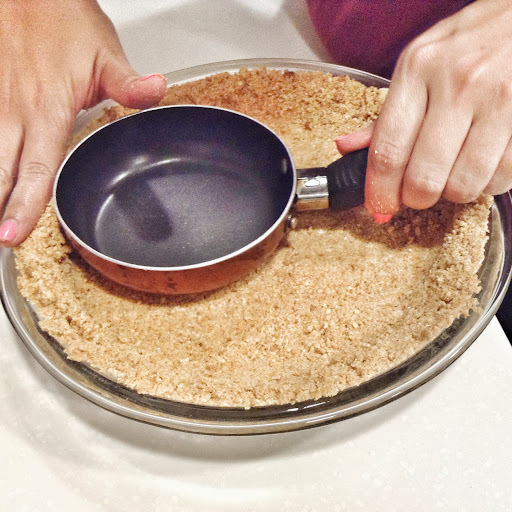 I used a small frying pan to smooth the surface and make sure the edges are nice and neat. How neat is this crust? Bake for 20 minutes. Once done, remove and cool completely. Reduce oven to 150c. 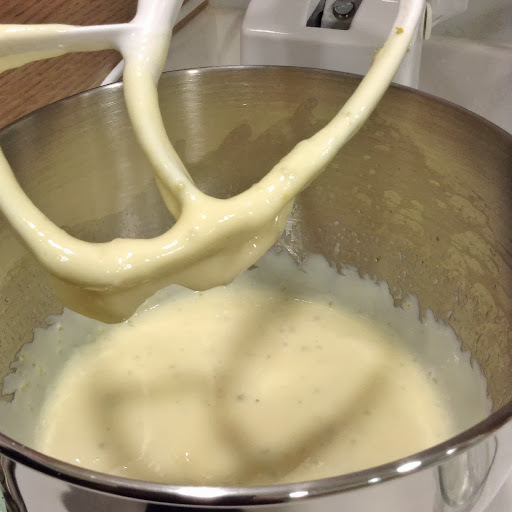 While the crust cools, in your mixer - blend the sweetened condensed milk, eggs, lime juice, vanilla, drops of vinegar (trust me, vinegar removes "eggy" taste and smell), and zest. Pour the batter in the cooled crust. Enjoy! Tart, creamy, and low-fat. Heaven on a plate. 1. If you don't want any bitterness skip the zest and just use it as garnish. 2. To balance some of the tartness, whip us some whipping cream, sprinkle in some icing sugar, and pipe (or spoon) some dollops around the pie. 3. For added crunch, add some chopped walnuts or pecans in the crust.